I need a change from the “winter white” landscape here in Bucks Co. So here is a bright sunny day image from St. Augustine. 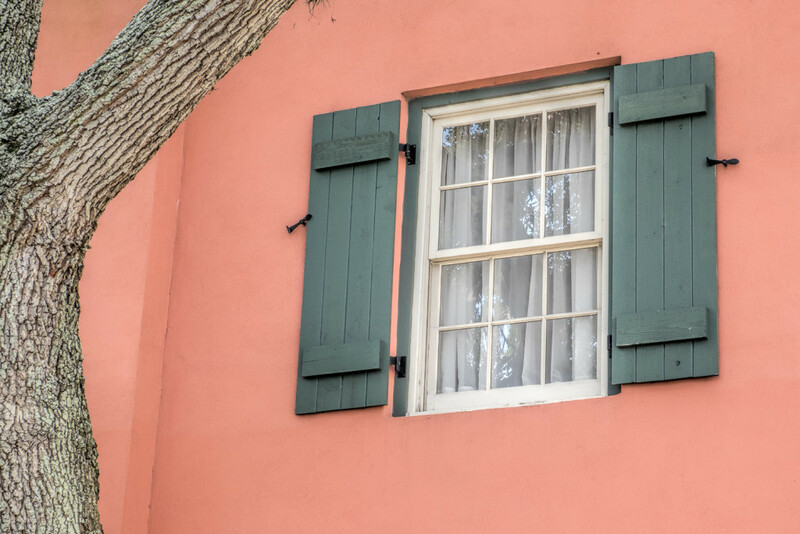 The color of this old building with the wood shutters caught my eye. The tree on the left helps frame the window and lessen the distraction of the corner. This entry was posted in Architecture, Historic Sites and tagged pink, St. Augustine, window on March 9, 2015 by kgrafphoto. I could not help posting another image of this wonderful architectural work. This image is a wide angle view of the photo posted yesterday. Being brought up in the home-building trade and having a love of fine woodworking, places like this intrigue me. At times I feel like I was born a couple of generations too late. I remember taking this image a year ago. I was pushing my hand holding capacity to the limit. I also remember counting the lights and balancing the tile work in the corners to get a balanced, symmetric composition. 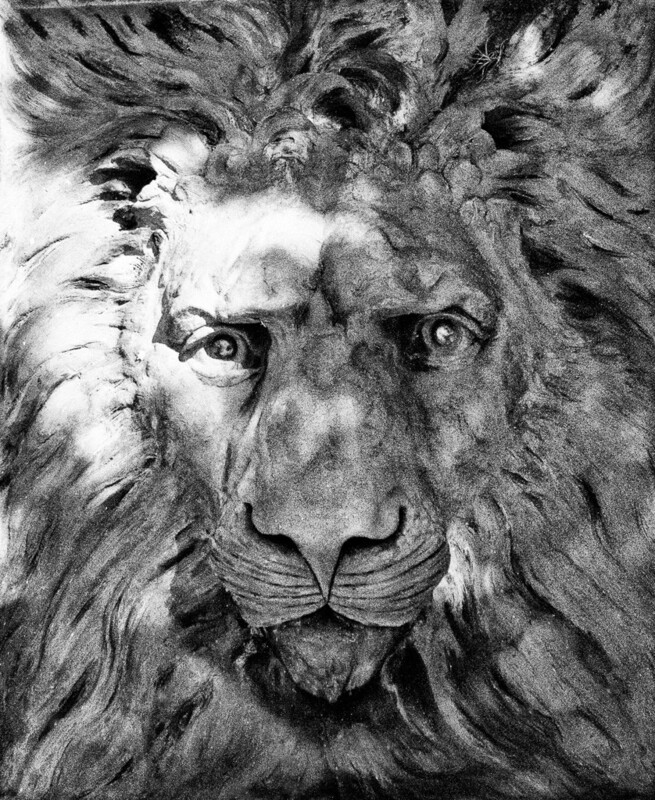 It turned out pretty good for a hand held image. 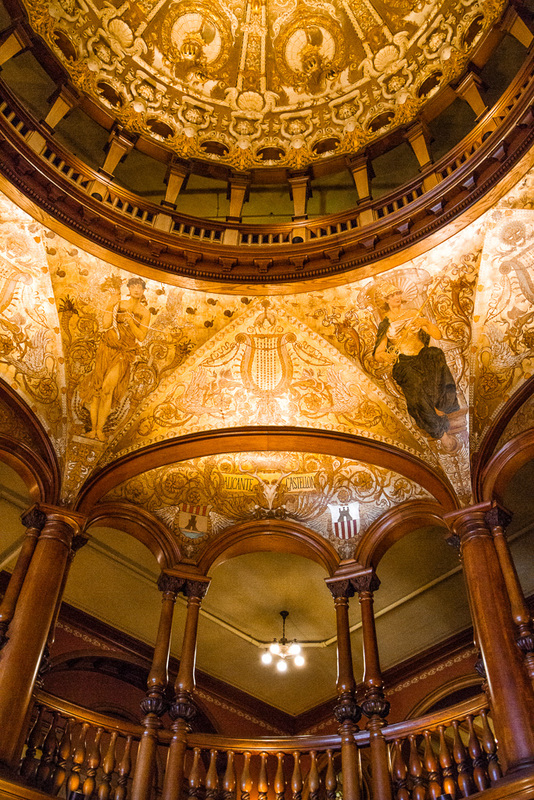 This entry was posted in Architecture, Historic Sites and tagged curves, Flagler College, St. Augustine on February 4, 2015 by kgrafphoto. Pretty fancy for a college reception foyer … impressive for a resort hotel. This image was taken inside Flagler College’s Ponce de Leon Hall (ex. Hotel Ponce de Leon). Late 19th century architecture and craftsmanship is hard to match. Some day I hope to return with my tripod and a low noise camera to get a better portrayal of such a piece of history. 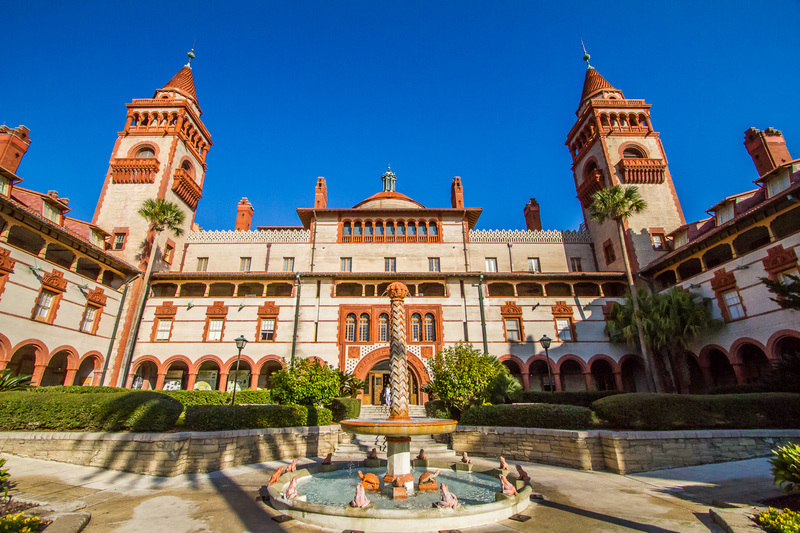 This entry was posted in Architecture, Historic Sites and tagged Flagler College, history, St. Augustine on February 3, 2015 by kgrafphoto. Enough for the snow and winter cold. My memory goes back to last year when we were in St. Augustine, FL on this beautiful clear winter day with temperatures in the high 60’s. 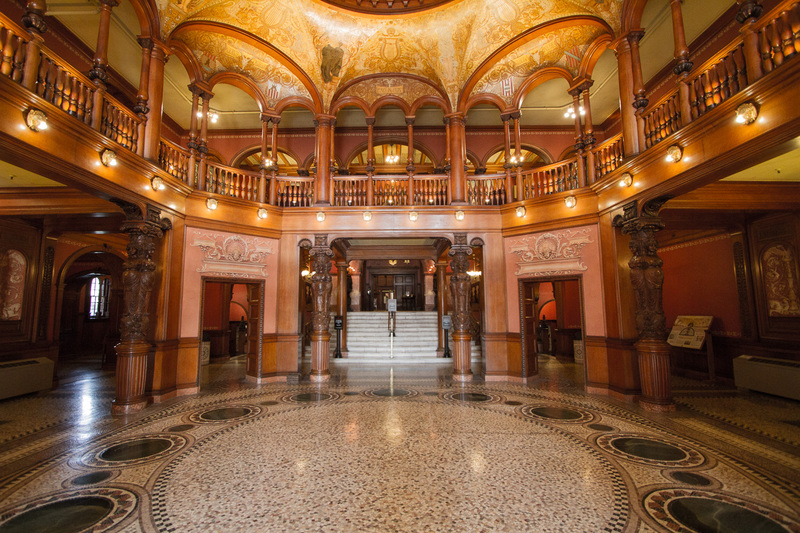 This image of Ponce de Leon Hall at Flagler College warms by bones. In 1885 multi-millionaire industrialist Henry Morrison Flagler (1830-1913) initiated a grand scheme to turn Florida’s east coast into the “American Riviera” and the city of St. Augustine into the “Winter Newport.” The Hotel Ponce de Leon, which was constructed in 1885-1887, was intended as the flagship of Flagler’s resort empire. This palatial Spanish Renaissance Revival hotel, with Italian, French and Moorish influences, was the first major commission for the Carrère & Hastings architecture firm. The Hotel Ponce de Leon opened in 1888 and was operated by Henry Flagler’s Florida East Coast Hotel Company. Nationally significant for both its architecture and engineering, the building is the first large cast-in-place concrete building in the U.S. The hotel was constructed using poured concrete mixed with local coquina. The design reflected the wealth and extravagance of the upper-class during the Gilded Age. Members of the design team included Louis Comfort Tiffany, Thomas Edison, Bernard Maybeck, George Willoughby Maynard, and Pottier & Stymus. The firm of McGuire & McDonald was hired to supervise construction of the Hotel. The Hotel was operation for almost 80 years. During World War II the building was used as a Coast Guard Training Center. Hotel operations ceased in 1967, and in 1968 the hotel became part of the campus for the newly established Flagler College as Ponce de Leon Hall. The building was added to the National Register in 1975 and was designated a National Historic Landmark in 2006. Lessons Learned: Notice the camera settings of this image. They are not even close to being optimized for a good image. I had just walked outside from taking interior images in dark rooms. I did not adjust the camera for the outdoor light. I just composed and took a snapshot. I really need and take my time to focus on making the best out of each image I capture. 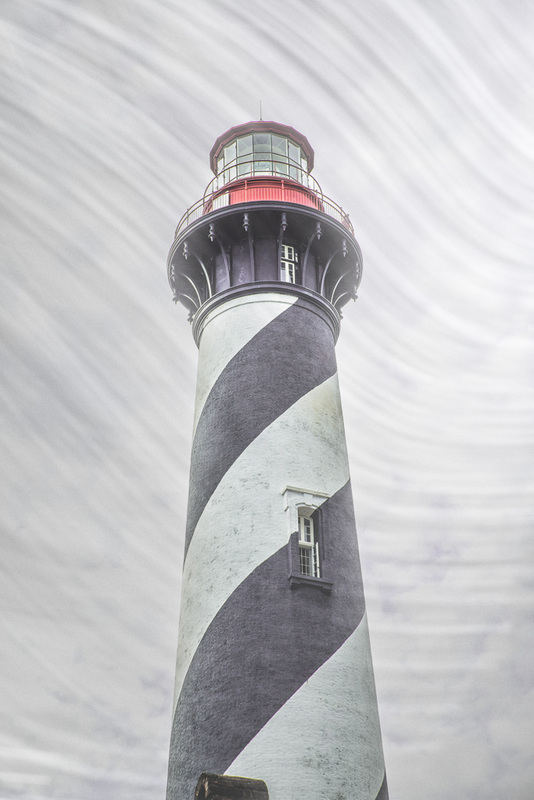 This entry was posted in Architecture, Historic Sites, Old Buildings and tagged St. Augustine on February 2, 2015 by kgrafphoto.